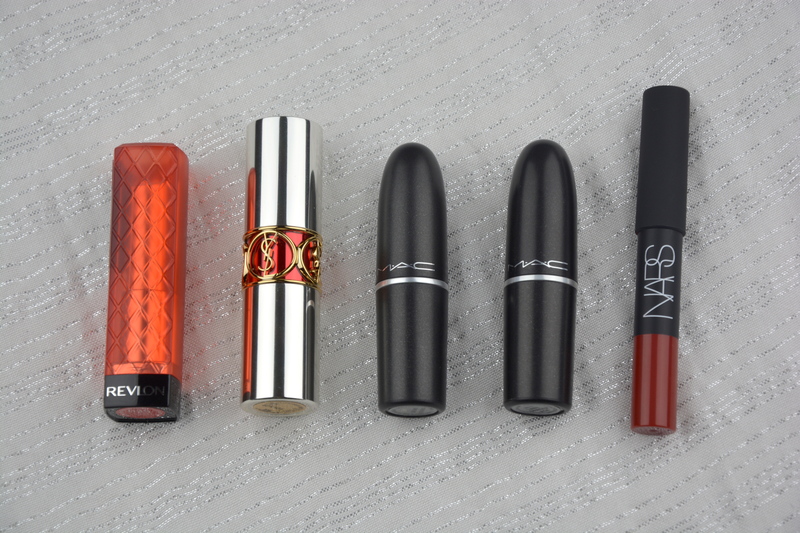 I thought I would put together a quick post talking about my favourite red lipsticks. 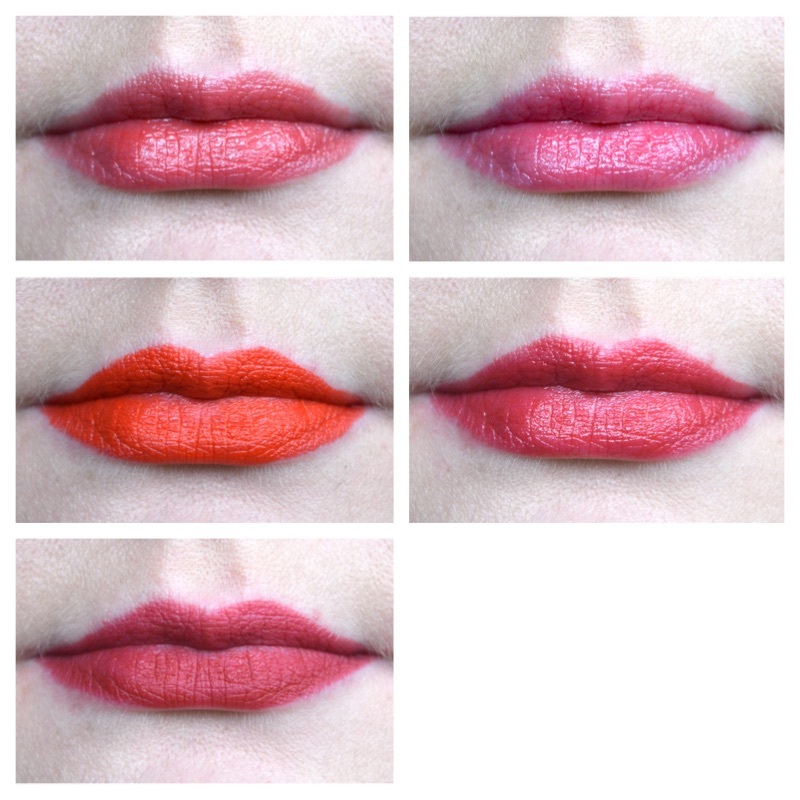 When I was choosing which lipsticks would make it into my top 5 I made sure I chose permanent products just in case any of you like the look of any of these and want to purchase it for yourself. I have not put them in order of favourite to least favourite – I couldn’t choose which was my favourite either – I decided to put them in order of sheer to opaque. Revlon Candy Apple Colour Burst Lip Butter is a gorgeous glossy red that reminds me of Christmas every time I wear it. It really brightens up my face and as it is a balm it fades nicely and you don’t get left with a red ring around the outside of your lips. YSL Luscious Cherry Volute Sheer Candy is more of a pinky red that also has a glossy finish. As this is quite a sheer lipstick it can be slicked on without looking in a mirror, so it is great if you are going to be out and about and need something easy to reapply. MAC Lady Danger is a cult favourite with a lot of makeup lovers and Celebrities. It is a super pigmented bright orange red with a matte finish. It is quite a creamy matte so is easy to apply and it looks great one for when you want to look like you have made an effort with your makeup but don’t want to spent too long doing it. MAC Brave Red is a bright yellow red and as it is a creamsheen formula it applies smoothly and feels moisturising on the lips. This is quite a recent purchase for me but it has quickly become a favourite. NARS Cruella is a very recent addition to my collection but I am already in love with it. It is a deep burgandy red with a matte finish. It is a highly pigmented and because it is in pencil form it is really easy to line the lips before hand and them fill them in. 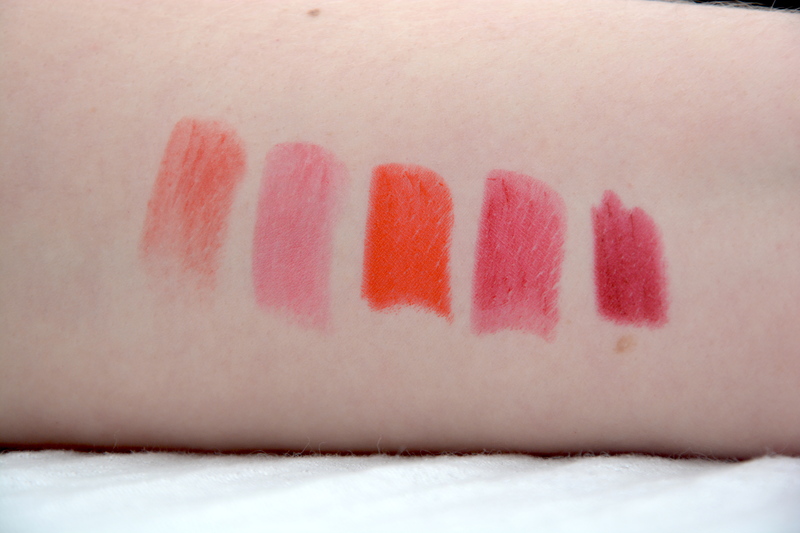 There are definitely other reds in my collection that could have made it in to this post but I wanted to choose colours that make me feel really confident when I wear them and all of these definitely do that. If you are worried about wearing a red lipstick I would go for either of the first two. They are both on the sheerer side and do not scream “I am wearing red lipstick” when you wear them but still add that pop of colour that is perfect for this time of year. What are your favourite red lipsticks? Let me know in the comments below.